The call for higher performance in terms of thermal efficiency is getting louder and louder and CWG can answer that call. 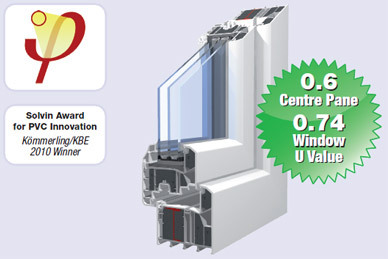 Kömmerling has the System and CWG can manufacture it - so think in terms of 0.86 window U Value. 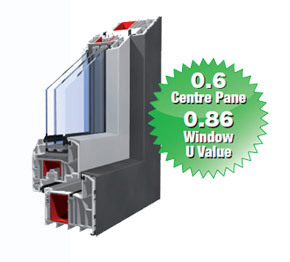 The basis of the 88mm System is six chambers and triple glazed sealed units. The System as a whole achieving the high performance without the use of expensive Krypton gas in the sealed units. 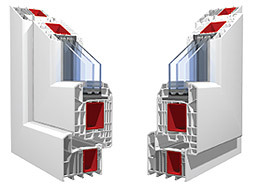 Available as Tilt and Turn and fixed pane combinations with single and double doors..
88mm Doors available open inward or open outward in single or double door combinations. 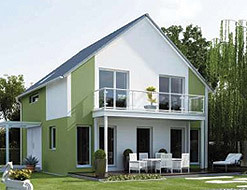 What does Passivhaus certification mean? 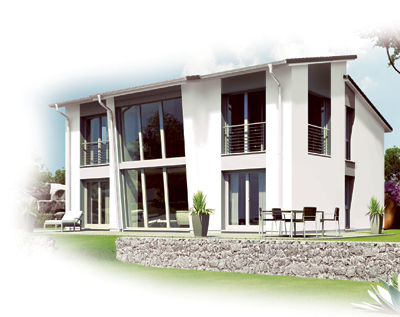 In simplest terms, it is a building insulated to a very high standard with openable windows manufactured to the highest standard of thermal, wind and rainproofing performance. The result is a total energy demand of less than 15kWh/m2.yr. It does not have a conventional heating system, although a small heater can be incorporated into the mechanical ventilation system. 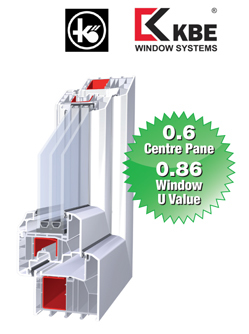 System 88 has been awarded this certification by the Passivhaus Institut in 2010 and hence, this window is a building component suitable for Passivhaus projects.